Plate carrier shown in images not included.Designed to fit on most airsoft tactical vests, caps and uniforms with velcro attachments. Great for Combat Simulation, scenario war gaming, costumes and movie prop use. "This patch is awesome! I have gotten a lot of comments on it! "I Love this patch, it is very well made and perfect for lost fans. 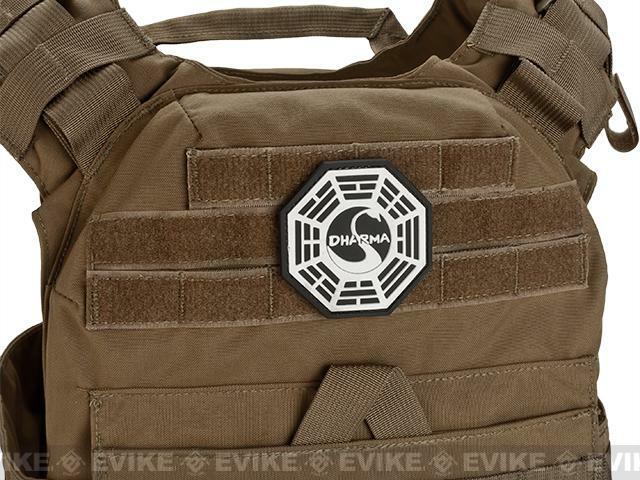 Discuss about Dharma PVC IFF Hook & Loop Patch - Black / White with your friends and fellow Evike.com shoppers!